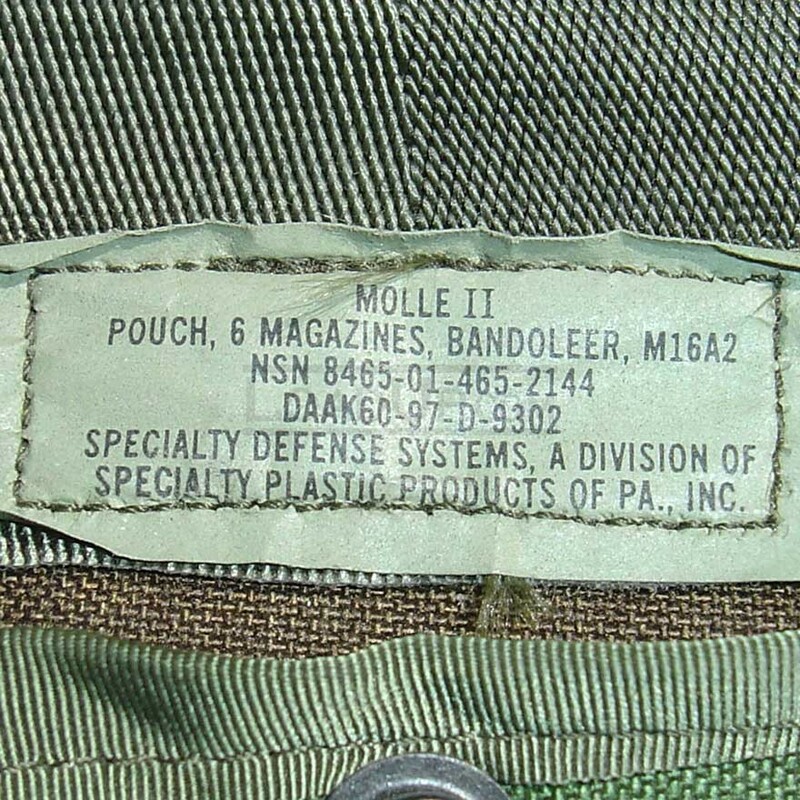 Molle II shoulder pouch bandoleer . 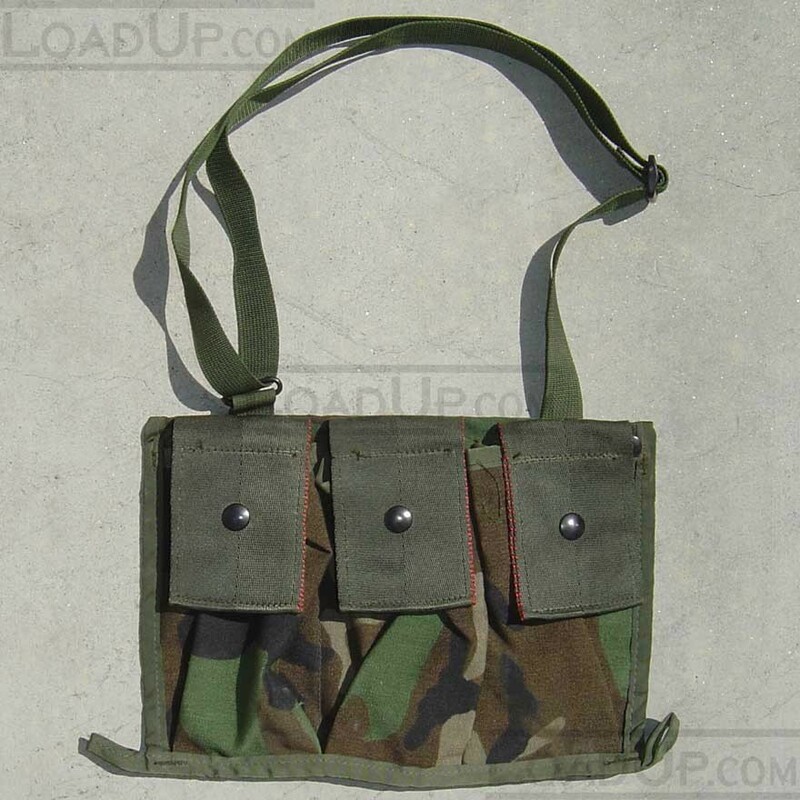 Removable bandoleer that can hold six 30rd Double Magazines in the three pockets or similar sized items. 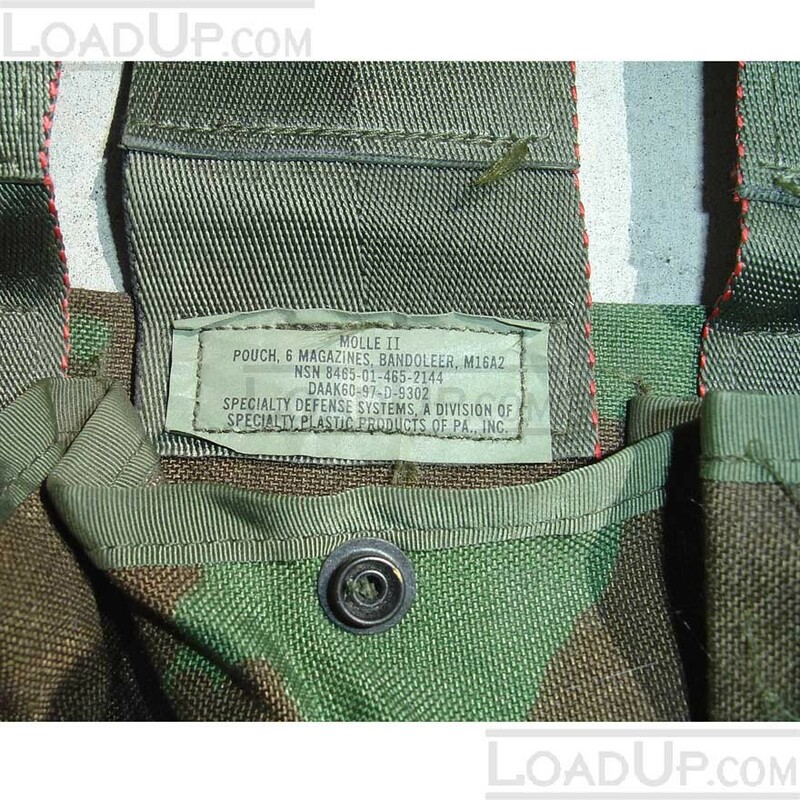 Component of the MOLLE system that can be snapped into the claymore mine pocket of the main Rifleman large rucksack. 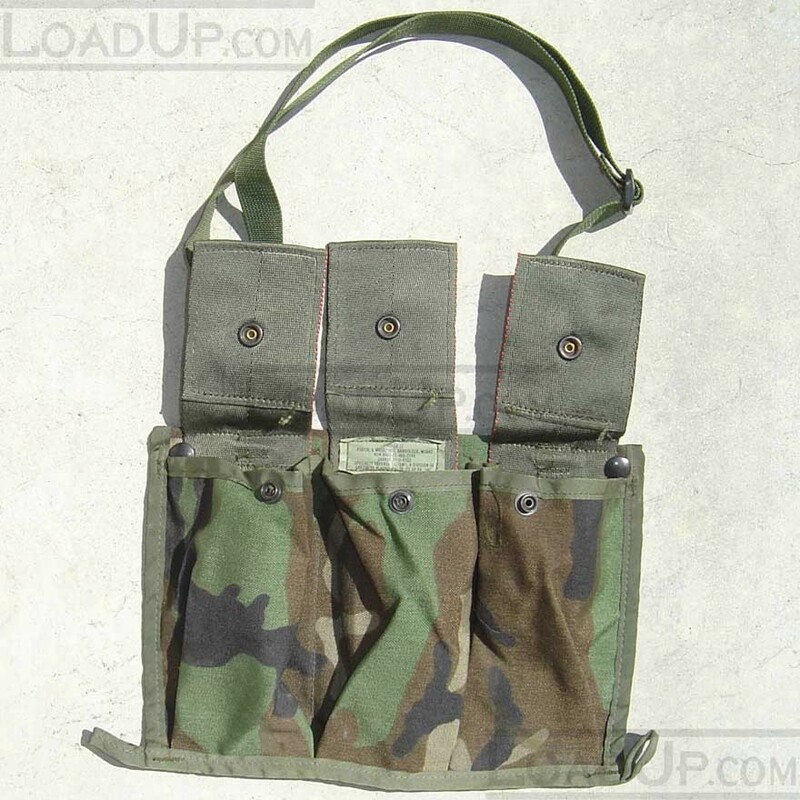 Pouches made of tough Codura, resistant to abrasion from rocks and thistles. 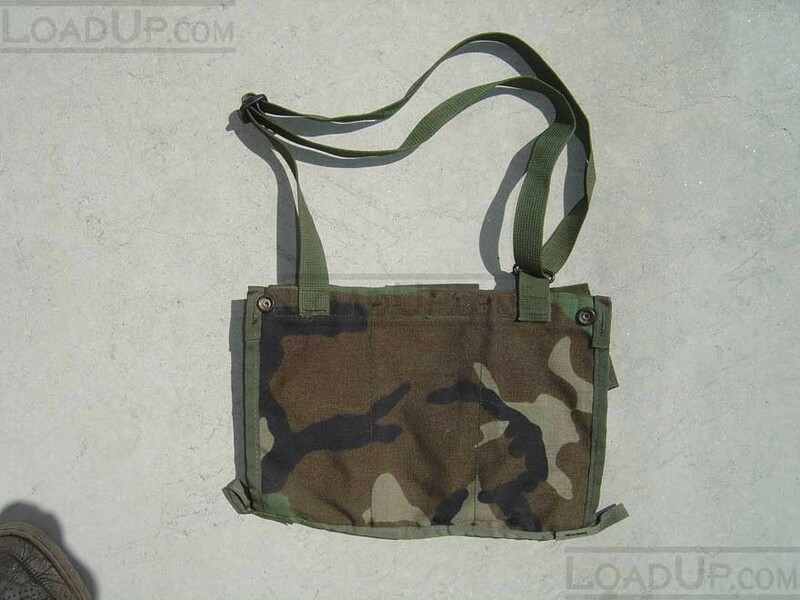 Includes an adjustable shoulder strap for independent carry and snap closures.